I’m going to say it one more time. This month, on February 10, we will be celebrating our Fourth Annual Feast of the Gods! This is technically our oldest temple festival – it was first celebrated in May 2015 to inaugurate the new TOGA Hellenic Temple, now known as the House of Zephyrus. This will mark the fourth year of the Temple’s official existence, and speaking as lead priest, I feel extremely gratified and blessed by the way the Temple has grown and by the wonderful oikos community we have built. As its name implies, this festival is dedicated to celebrating the Greek Pantheon as a whole. Usually our rituals will focus on one or a few specific deities, which is quite traditional, but this event is about recognizing the Gods, Goddesses, Daimones, Nymphs, etc. in their full collective glory. Because they do work together, in the world, and in our personal experiences. We do, however, pay particular honor to those Gods and Goddesses who have taken on devotees within our temple. ‘Devotee,’ in this context, refers specifically to people who have initiated into Reno Magick 3rd Circle, but we are also taking special note of personal connections that have not yet been formalized through initiation. Unlike most of the other things we do in HoZ, this festival does not correspond to any major historical festival. It’s one of my own creation, and has typically been celebrated in the springtime – though inconsistently. 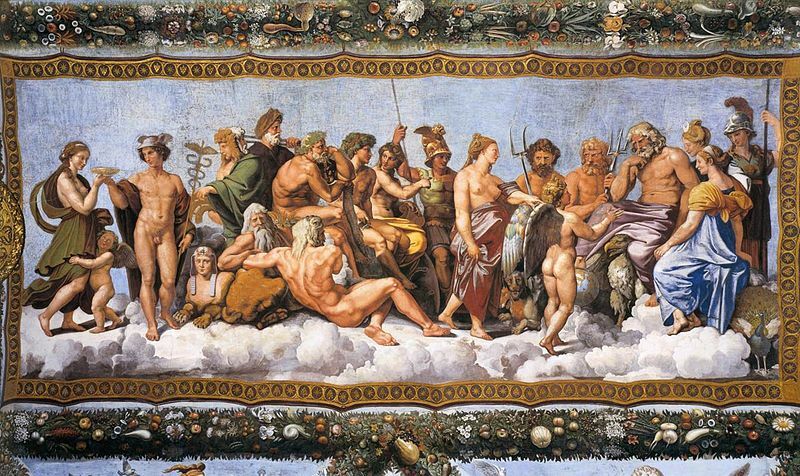 Only in the last year have we established an internal “House of Zephyrus Festival Calendar.” As I said the first Feast of the Gods was in May, then it was in February, then it was in April. Still pretty much springtime, but kind of scattered. The Feast ended up landing in February, and this was largely because February corresponds to our TOGA-wide seasonal celebration of Candlewaxing (known elsewhere as Imbolc). Those who attended the SuperBlueBlood Moon Candlewaxing Ritual will remember that this is the season when we see the first signs of the end of winter and beginning of spring. 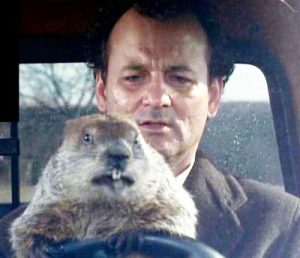 In the mundane world, this beginning of the change in the seasons has translated to…Groundhog Day. Possibly one of the most comical appropriations of a pagan seasonal festival…. 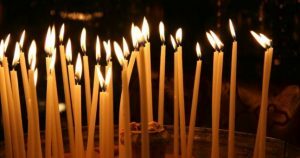 In celebrating Candlewaxing (and Imbolc), we light candles to represent the light at the end of the tunnel – the end of winter. In some regions, this is the first planting season. That first thawing of winter was a lot more serious in the days before electricity, when an early spring could literally be the difference between life and death for a family. During this season today, we begin the process of releasing what is in the past and making plans for the springtime. 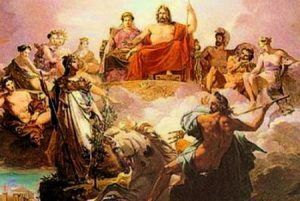 Why is this a good time to have the Feast of the Gods? We have always treated this festival as a time of renewal and re-dedication to our gods and to our temple – especially those of us who have gone through initiation. As we are making plans for the spring, it’s a good time to make plans for our temple as well, to review what we have accomplished, and define what we want to accomplish. This year it is particularly appropriate, as several of us are about to attend PantheaCon, where will be joining the Pandemos Hellenic Community in hosting a Hellenic Hospitality Suite and enacting a public Hellenic Ritual. We will also be holding devotionals, dedication workshops, and at least one Satyr Play! As we prepare for this work within our larger community, we want to reaffirm our personal connections to the Hellenic Pantheon and our connections to each other as an oikos. As a community, we ask the Gods to bless the work we do and the people who are doing it. 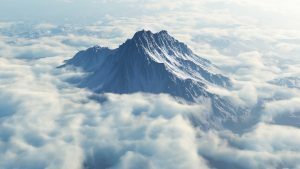 Even if you are not going to PCon this year, this is an excellent time to review and affirm your personal connection to the Gods and the community. The temple is going to be a little crowded. During the Feast of the Gods, we set up altars for every deity who has taken on a Devotee in the temple community, as well as a general altar for those who have not chosen devotees yet. Theoi who have taken on Devotees are represented on the Hellenic altar by a full statue, while many other Gods, Goddesses, and Daimones are represented by pictures and symbols. Statues of the Theoi are instated by the initiate, who forms an agreement to take or share responsibility for the care and maintenance of the statue. During the ritual, we will be processing to each of the individual altars. The initiate(s), or those who are aspiring to initiation, will recite hymns to the deity (both ancient and modern), and then share with the community – to the degree that they are comfortable – how their relationship with that deity has developed in the last year. Anyone else will also have an opportunity to share personal experiences, express gratitude, or ask for blessings. 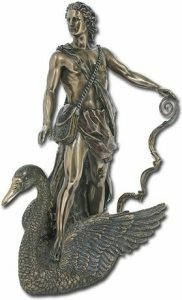 This year, we will be formally consecrating and instating a statue of Apollo, God of Light, Music, Divination (etc etc etc) on the main altar! We will then offer libations and praises to the Theoi who have not claimed initiates yet, but who are still a significant part of our Temple and our practice. Here, we focus on how we want to build relationships with those Theoi in the next year. There will also be time for personal mediation and reflection. To practice Hellenic Religion as a living, evolving, dynamic spirituality. To study the culture, religious practices, and beliefs of ancient and Classical Greece for the purpose of understanding how they experienced their spirituality and connection to divinity. To translate that understanding into a modern practice that is relevant to and present in our everyday lives. To use mystical techniques, such as oracular work, divination, and personal meditation with the gods to fill in the gaps in our knowledge of the past and internalize the underlying purpose of the rituals we perform. To bridge the gap between the culture in which the Theoi were originally worshipped and the culture that we live in today through meditation, discussion, and understanding. To express the essential nature of Greek values within the context of modern society.